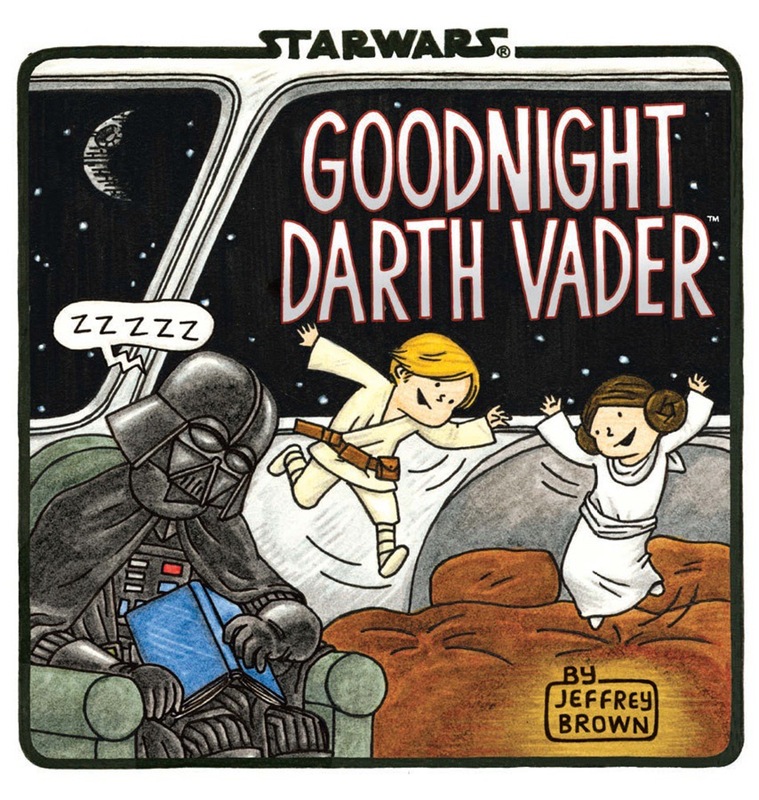 Goodnight Darth Vader by Jeffery Brown Announced! As many of you know, I named my son Luke. Being a Star Wars fan with a son named Luke, well-meaning people often buy me copies of Darth Vader and Son. I’m not kidding, I have four copies. The bright side is I decided I was going to read to Luke right from the start as to make it a habit. So I have a copy in almost every room. It is one of the few books I think both he and I enjoy, probably for our own reasons. I for one am looking forward to the newest addition in Brown’s series. Dunc at Club Jade points out that Amazon.com has it listed for a July 22nd release date. The date might be arbitrary at this point. But here’s to hoping we get it sooner than later!